Click on the "License Information and Software Updates" icon on the toolbar to determine the status of your account. Click on the corresponding buttons for data and product updates, and for purchasing premium data feeds beyond the available data feeds listed. You must input a purchased keycode here to obtain CDXZipStreamTM updates. 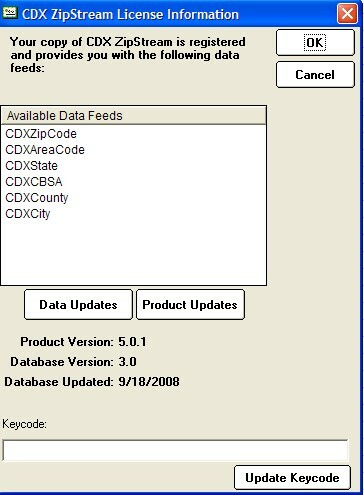 If your demo account has expired please email us at support@cdxtech.com.